Christmas may be just around the corner but our games in the Championship continue this weekend when we head to Alloa. There were goals a plenty the last time we faced each other at the beginning of October. 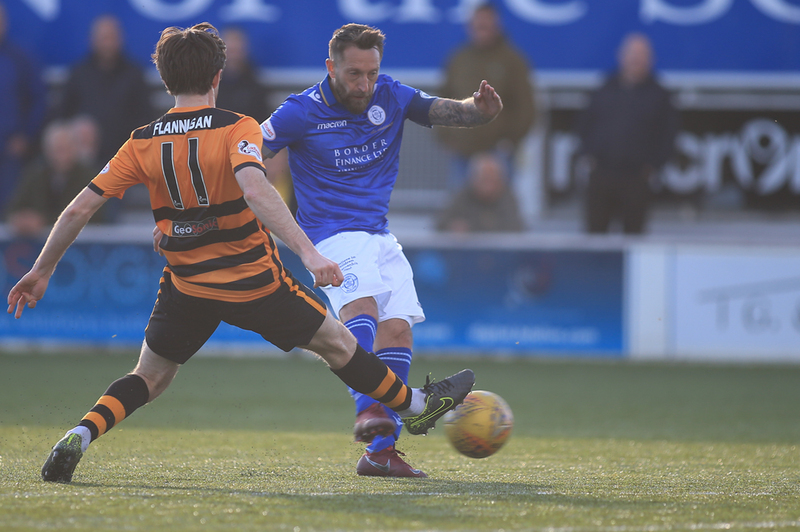 Alloa were three goals up within the first twenty-five minutes in Dumfries but Queens fought back thanks to a hat-trick from Stephen Dobbie to rescue a point. Hopefully the game will be played in better conditions than our game against Dunfermline last weekend. Queens boss, Gary Naysmith looks back on that match and ahead to our visit to Clackmannanshire. "Firstly, thank you to everyone who turned out to support us in last weekend. The conditions, before, during and after the game were horrendous and played a big part in the game being a bit of a disappointment. But credit to the players for battling on through the wind and rain to grind out yet another clean-sheet and a point. With all the other games drawn last week, it would've been a good one to win but we weren't at our best and given the conditions, I think we take the point and move on. This week will be a difficult game, they have narrowed their pitch so we will have to adjust to that. They have been excellent this season and although they are a part-time side they haven't become detached and are only ten points behind us and we sit fourth in the table. They have a strong team for a part-time side and have strength and depth within their squad, we drew three all the last time we played and were fortunate to get a point that day as Alloa were dominant for the first twenty or thirty minutes. But we have been on a decent run of form ourselves and have picked up some good points in recent weeks, Saturday was our eleventh clean-sheet in twenty-six games so that's not a bad return. But we need to make sure that the players are fully switched on so that we can continue that good form. Stephen Dobbie is back on the pitch continuing his recovery but Saturday will probably come too soon for him. And we are a man down with David Norman returning to Vancouver but it is a chance for one of the younger lads. I watched them against Dundee earlier in the week and I thought they were very good in the second half, so it might be that some of them from the Under 20 squad will make the bench at Alloa. With this our last game before Christmas, on behalf of myself, my coaching team, the players and the rest of the club, I would like to wish you all a very Merry Christmas and hope that you have an enjoyable time with your families". Kick off on Saturday is 3pm. Our next home game takes place next Saturday (29th Dec) against Ayr United.